December is here and Christmas is coming. We’re already wearing our scarfs and gloves and ski lovers are preparing their equipment to start climbing Spanish mountains. A lot of people are in the streets, with shopping bags hanging from their hands; shop windows show Christmas trees, colourful garlands and nativity scenes. All of these is true. 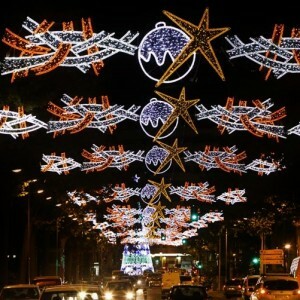 However, what makes us know that Christmas is near is the lighting in the streets. 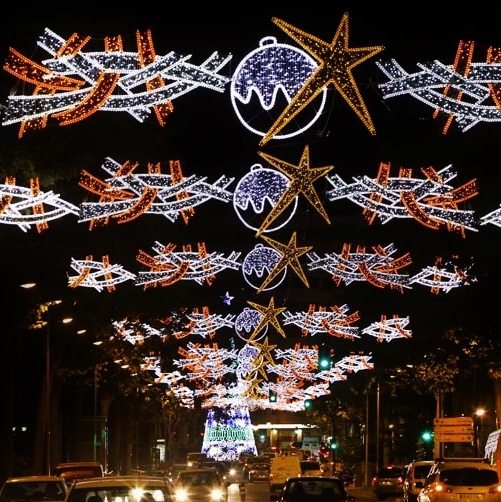 Cities all over the world invest much money to try to increase our Christmas spirit. Today we’ll talk about the word luz (light), slangs and expressions with this word. Dar a luz: There’s probably no better news for a couple than dar a luz a un bebé (give birth a baby). Actually, a mother lets her baby see the light for the first time. Arrojar luz sobre algo: when we arrojamos luz sobre algo (we shed light on something), we clarify it. Again, a positive meaning for the word luz. Sacar algo a la luz: if we tell a secret, we estamos sacando esa información a la luz (we are bringing that information to light). No tener muchas luces: do you know any person who usually does nonsense or foolish actions. We could claim that no tiene muchas luces (that person is dim-witted, not very bright). Salir a la luz: If there’s no problem, this article I’m writing saldrá a la luz el miércoles (will come out next Wednesday). After this explanation, esperamos haber arrojado luz sobre este tema (we hope we have shed light on this topic). If you want to learn more of these expressions and improve your Spanish level you can reserve a free trial lesson via Skype here.